SET SAIL ON A MAGICAL VOYAGE WITH MARVELOUS CREATURES AND A MERRY CREW. The book has two parts. 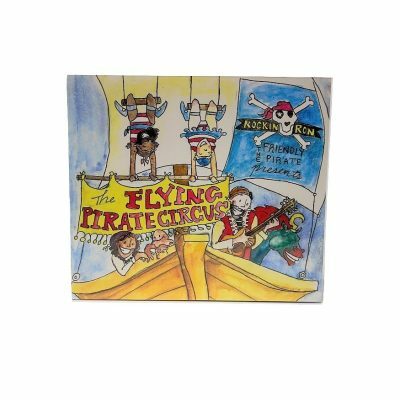 The first is about a circus on a pirate ship. After the curtain call, the second consists of lyrics from various songs and has drawings to accompany them. 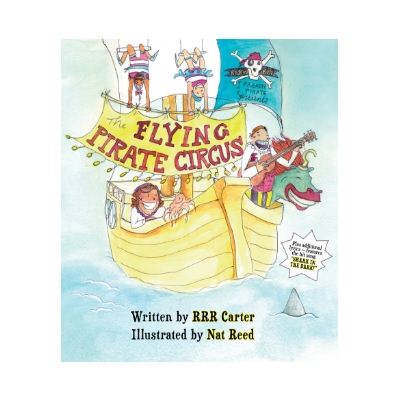 The Flying Pirate Circus was written by RRR Carter (aka Rockin’ Ron the Friendly Pirate) and illustrated by the award-winning Nat Reed, designed by the award-winning Carrie Cook, and printed by the award-winning L. Brown & Sons in Barre, VT.